Drone roof inspections are extremely ideal for customers looking for photographic and video evidence of their roof area. Customers usually ask for drone roof inspection if there has been a storm or high winds to get a roof report to ensure their roof is safe. With drone inspection, you can quickly and efficiently inspect damage from a height. This means that the repair can be undertaken as quickly as possible. 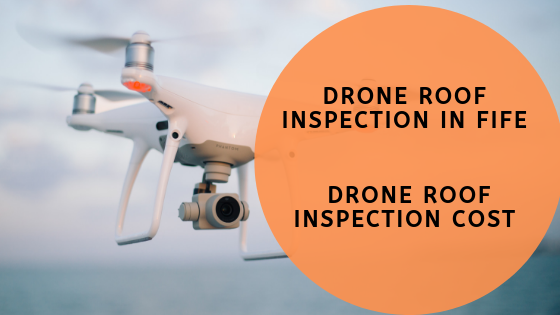 Drone roof inspection offers a number of different benefits when it comes to inspecting storm damage in particular. The alternative would be for an inspector to use ladders or scaffolding, which is always dangerous, especially when the weather is bad and structures may potentially be unsafe. The speed at which aerial roof inspections can be carried out is another benefit to consider. Drones will capture photographs from various angles, which traditional photography is not able to do in the same way. Drones minimise the obvious dangers and health risks so no individual needs to be at risk at working at height. Drones are making it possible for professionals to easily collect aerial data in places where it would be logically impossible. It is less risky and safer to use drones in hostile environments for applications, such as radiation monitoring, inspecting high-voltage lines, and other installations that can cause injuries or health problems. Since most of these applications must be inspected while still in operation, a manual process would require more expensive equipment and protection gear. If you are buying an older property then it will be wise to have a drone inspection. The cost of a roof inspection could pay for itself if it identifies serious problems. Drone roof inspections can offer alternative prices depending on the extent of the inspection you would like. Typically, drone inspections can range £200-300 but what are our prices? Includes video footage, up to 20 photos and a recommendation of the survey carried out for £280 inc VAT. Get in touch with us today to book in a drone inspection with LC Joinery Roofing and Building Work.